This was my lecture in MICE Asia Singapore last September 2015. I am amazed of how people from Indonesia, Malaysia, Singapore, Russia and other was very appreciative of my presentation. So I am sharing this with you. Enjoy ! As a professional, if you want to grow here is one tool you should be doing all the time. As in always, upon waking up this is one of the tools you should be honing and using all the time. Here are 5 kickass reasons why you should be networking. The Customer Lovefest 2015 is a resounding success. 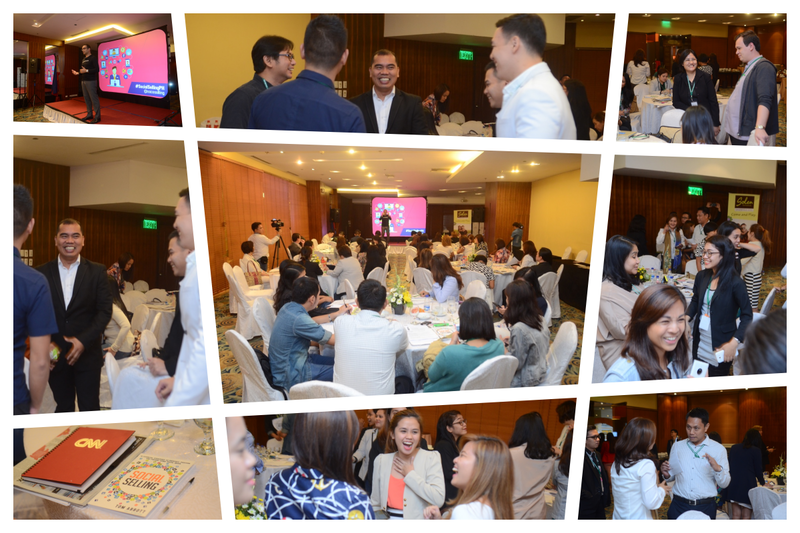 Industry players and decision makers attended the event to learn the first Customer Experience Management Conference in the Philippines. In addition, the 3rd Customer Loyalty and Rewards Program Conference followed in the 2nd day. As consumers become sophisticated companies will need an indepth understanding on the customer experience and improve their customer loyalty and rewards program. This is the reason that this event will further play a vital role in aiding the companies knowledge and best practices in these areas. For early booking or speaking slots call tel. nos. 643-3887 or 633-0153 or email info@exlinkevents.com. Watch the video for this year's event summary. The first Social Selling Seminar in the Philippines is set, this October 16, 2015 at Crowne Plaza Hotel, Ortigas Center. Tom Abbott, an International speaker and author will be the resource speaker. He is a sought after resource person in social selling and sales related topics in Asia. Thus, the use of social media in sales allows salespeople to delight their prospects rather than interrupt their daily lives with cold calls and hard sells, eventually converting them into loyal customers. Social Selling is the new way of selling that sales and marketing professionals must master. Social Selling is born out of the social media explosion. · 23% of Sales People using Social Selling exceed their sales quote more often. These positive results brought by Social Selling will greatly help attendees of the seminar who are mostly running Small and Medium Enterprises (SMEs). According to a recent data from the Department of Trade and Industry, SMEs account for 99.6 percent of total registered enterprises. Out of the 820,255 businesses which operated in the country, 816,759 were SMEs while only 3,496 were large enterprises. Of these, 91 percent (743,250) were microenterprises, 8.6 percent (70,222) comprised of small firms, and less than one percent (3,287) made up medium-sized companies. The Social Selling ability improves the velocity of the transactions and guaranteed positive effect on the growth and development of SMEs. 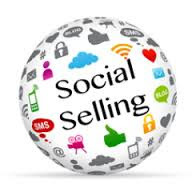 Social Selling know-how allows SMEs enjoy this expected effect. Social Selling Seminar will tackle the following salient points: Prospecting - find your audience, have conversations with prospects, generate sales leads, get past the gatekeepers; Positioning - demonstrate your expertise, differentiate from competitors, assess prospects' need; Presenting - delivers sales presentations, ask for the sales, get spin-off business and close the sale. Business World supports the event. For more information, call at tel. no. 643-3887 or text 0920-9814376. The Overseas Filipino Workers (OFW) last year remitted $26.92 Billion. This year, an increase for the first four months, OFW has remitted $8.6 Billion, 5.1% higher compared last year, according to the Bangko Sentral ng Pilipinas (BSP). Although some economic observers have noted that the country is becoming less dependent to the OFW remittances due to an improving economy. Still, OFW remittances are a big boost to the economy and can further be maximized if portions of the remittances are allocated to investments and starting a business. More OFWs are returning home because of the improving economy. In addition, more job opportunities are opening up in the country as a transition for the returning OFWs. However, for OFWs that would like to create a better opportunity and life, entrepreneurship is the better alternative. The Philippines Small and Medium Enterprises (SMEs) comprised 96% of the country’s economy and the addition of OFWs turned Entrepreneurs could further grow the economic standing of the Philippines. In addition, according to GEM Philippines, 6.2% of the adult population are established business owners and 18.4% are engaged in early-stage entrepreneurship (TEA). The country’s TEA rate is far higher than the average for Asia and Oceania (13%). An event to encourage entrepreneurship among OFWs is the upcoming OFW and SME Christmas Expo set December 15-16, 2015 at the Megatrade Hall, SM Megamall. 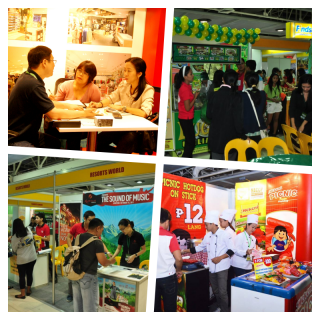 The OFW and SME Christmas Expo will showcase the different companies that are looking for OFW and SME business partners. In addition, investments and financial products are present for OFWs and SMEs to see and include as part of the many choices they can have in continuing their economic growth in the country. On the other hand, participating companies will have the chance to meet OFWs and SMEs invited to be buyers and guests of the event. December is the time where OFWs celebrate Christmas with their families. In going back to the country, they bring with them their savings. OFW and SME Christmas Expo is a business event that combines a family atmosphere that expresses appreciation for their efforts and sacrifices. One of the supporting organizations of the event is the United Filipino Seafarers (UFS). Business World and Business Insight support the event. Social Selling is the use of Social Media in your selling activities. It is not about the technology, but using the technology to enable you to create meaningful relationships with clients who are now online savvy and stay online 85% of their time. In the Philippines, some sales professionals are using social selling but without formal training or orientation. Having said this, the potential for trained and educated sales professionals on the techniques and strategies of Social Selling can be enormous and very advantageous to the organizations. outperformed their sales peers and exceeded quota 23% more often. *46% of social sellers hit quota compared to 38% of sales reps who don’t. Having learned this, there is no excuse why all companies with sales force must invest in learning Social Selling. A company that Ignore the skills required to be an expert or knowledgeable in social selling will allow its competitors to move ahead. If the sales forces of the competitors are Social Selling savvy the effects will be detrimental to the growth of the company who choose not to invest on Social Selling. Consider this, IBM reported a 400% increase in their sales when they tried to incorporate social selling in their sales activities. Luckily, the same growth that IBM experience can be duplicated here in the Philippines because the first Social Selling Seminar will take place this coming October 16, 2015 at Crowne Plaza Hotel, Ortigas Center. At the moment, it was reported that very few slots remain for interested parties who wanted to learn social selling. You may call tel. no. 643-3887 or text 0920-9814376 or email info@exlinkevents.com to reserve one of the remaining slots. The event is produced and organized by Exlinkevents – Business Events Organizer. Exlinkevents is known for producing breakthrough conferences and seminars that are beneficial in forwarding the companies and individual growth at par with the world.